Aoife is one of  Ireland’s leading performance riders. She was placed 7th Individually at the London Olympics. Aoife was Ireland’s top placed rider in London, helping the team to an historic 5th place in the process. Aoife incorporates Briovet.com products in her Equine Nutrition solutions and supplementation programme for her horses. Since moving to base in England and starting off with a small team of young horses, one of whom was Olympic mount Master Crusoe, her performances have gone from strength to strength. 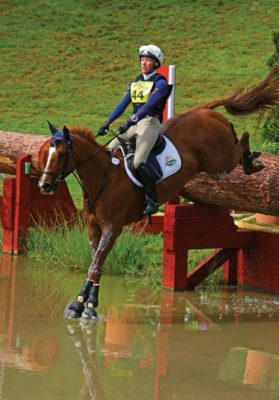 Starting off on the hunting field, followed by pony eventing, Aoife focuses on treating every horse as an individual and on forming a partnership with each one based on their temperament, type and ability. She was also one of only four riders at the Olympics to jump two fault free rounds in the show-jumping, showing her cool head for pressure on her Senior Championship debut. Aoife believes in the difference high quality nutritional solutions can make to the health and performance of her horses.